Basseterre, St. Kitts, June 05, 2018 (SKNIS): The St. Kitts and Nevis Bureau of Standards (SKNBS), today, June 05, commemorated the successful completion of its capital project of extending its building and installing a Roof-top Solar/PV System. Speaking at the brief ceremony, Jasemin Weekes, Permanent Secretary in the Ministry of International Trade, Industry, Commerce and Consumer Affairs, explained that there has been much conversation about alternative energy both on the international and regional fronts as home owners, businesses and governments seek to reduce energy costs. 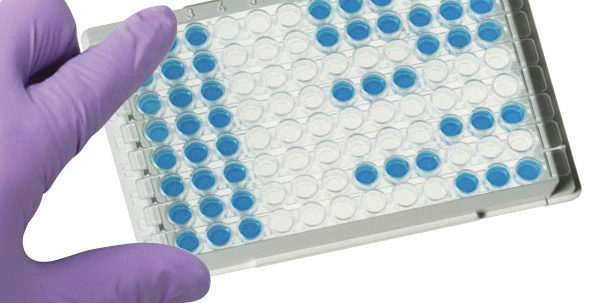 She explained that four years ago the SKNBS developed capital projects to provide additional laboratory space and improve efficiency of its building. “These two projects were soon after merged into one major capital project with the goals of increasing the utility space in the SKNBS, executing energy efficiency standards compliance and quality assurance testing and labelling on all selected appliances and equipment imported into the Federation of St. Kitts and Nevis and providing a decentralized renewable energy supply for the SKNBS through the installation of the Roof-top Solar/PV System. One of the main outcomes of this capital project was the installation of the Solar/PV roof mounted system. 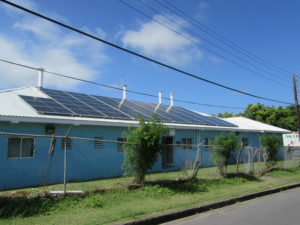 “It must be mentioned that the installation of effective energy efficient Solar/PV Panels will offer several advantages and benefits to the St. Kitts- Nevis Bureau of Standards, including the reduction of the energy bill by approximately 60 to 70 percent as compared to the consumption of the existing national grid electrical system, the reduction in fuel cost for these power generators under the national grid and a decrease in greenhouse gas emissions. The permanent secretary noted that the government will continue to explore innovative, energy efficient approaches towards creating a sustainable energy sector.